At 10am on August 24, 2017, a customer in Midway Point, a small suburb outside of Hobart, Tasmania, reported a sewage spill on his property. Midway Point stands adjacent to Pitt Water Nature Reserve, home to rare birds, butterflies, and the largest oyster lease in Tasmania, covering some 14 hectacres. In late August, Pitt Water oysters, prized for their briny flavor and consistency, were just coming into peak condition. TasWater, the state’s primary water and sewage service provider, responded to the call immediately, but unfortunately, 6,000 liters of wastewater had already spilled into Pitt Water, contaminating oyster beds and shutting down production for three weeks. 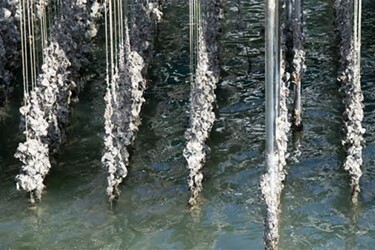 It was an ecological and economic disaster for Tasmania, which harvests 48 million oysters annually as part of a $24 million industry. TasWater had to find a way to catch blockages and spills more quickly. In collaboration with Nukon, an OSIsoft System Integrator, TasWater began using the PI System as part of a pilot program to use sewage pump stations (SPS) data to spot and respond to blockages and spills before they turned into ecological disasters.